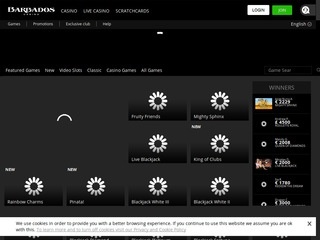 Barbados Casino will then reward you with a bonus (Welcome Bonus is for new players only). The terms and conditions of the bonuses vary between different casinos and might also change over time and between different countries, so it is important to compare the different offers and read the T&C for Barbados Casino before signing up. Even though it has only just celebrated its first birthday, Barbados is quickly becoming the preferred online gaming destination for new players and veterans alike. Barbados was established in August 2017 by highly experienced Aspire Global International. The Casino strives to provide a superior gaming experience with an easy to navigate website, a diverse portfolio stocked by the likes of NetEnt and Microgaming, generous promotional deals and caring support. To start you off, they will offer a gift consisting of up to €200 in bonuses plus 100 free spins, and then reward each of your wagers with points exchangeable for cash bonuses. Being licensed by the MGA and the UKGC means they operate in line with strict standards so you can be confident you’ll get to play in a secure environment and receive fair treatment. Barbados features a library counting 450 casino games by NetEnt, Nyx, Microgaming, iSoftBet, Playson, Blueprint Gaming, GameArt, Booming Games, Pragmatic Play, Ainsworth, Cadillac Jack, Inspired Gaming and NeoGames. Such a mix guarantees you’ll find something to your taste, and if you see a game you haven’t played before, Demo option will let you test it risk-free. 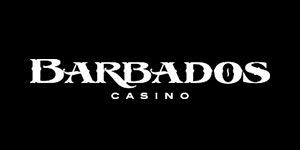 Owners of iPhones, iPads and Android smartphones can visit Barbados from any location they choose; rather than downloading an app, they can launch the Casino via their mobile browsers and start playing immediately. Starburst, Gonzo’s Quest, Thunderstruck II, Avalon and Hugo are some of the featured titles every slot fan will be familiar with. As the Casino continuously updates their offering with newly released games, you’ll likely find plenty of slots which you haven’t played yet but are certainly worth giving a try. Kingdom’s Edge from NextGen plays with Silver Wild and stacked Gold Wild, offering two lucrative features: Rally the Troops will treat you to expanding Wilds with re-spins and multipliers, and Defend the Gates launch free games with nudging Wild stacks. The same developer has wowed us with The Mask, a video slot offering several random Wild features and a free games bonus round with a random Wild multiplier of up to x5. Rainbrew, the result of cooperation between Microgaming and Just For The Win, features 3 different Wild symbols; two of them activate the top and the bottom horizontal reels, increasing the Ways and allowing for additional substitute icon to appear and hopefully deliver more wins. Chilli Chilli Bang Bang! by iSoftBet plays with a cute character capable of adding Wandering or Stacked Wilds, plus a Bonus Wheel which awards one of 3 different Free Spins rounds. NetEnt’s Berryburst Max is a simple yet potentially highly lucrative fruity with Cluster Pays mechanics and Expanding Wilds launching re-spins. To cater to fans of table games, the Casino has provided a mix of live and non-live Blackjack and Roulette variants, though the choice of the latter is quite limited. What’s unusual is that no Poker games seem to have been included. Barbados may be easily the Casino with the biggest number of games that don’t fall into any of the above categories. You’ll find plenty of Scratch Cards, Bingo and Keno variants, several Hi-Lo games, hybrids such as Scratch & Roll, sports games like Goal Kick and Road Racing, and specialties like Fast Hands, X&O, Darts and Dancing Domino. Separate section stores a few Video Poker games, namely Jacks Or Better, Deuces Wild and Joker Poker. Thanks to Evolution Gaming, Barbados members can place bets at more than 50 live tables with different betting limits. Roulette fans get to choose between regular game variants, visually impressive Lightning Roulette with added win opportunities, and several native tables. There are over 30 Blackjack tables to pick from, among which Salon Prive reserved for high-rollers. You’ll also find standard, No Commission, Speed, Squeeze and Control Squeeze Baccarat, as well as Live Dream Catcher. Chat option allows players to communicate with the dealer and each other, making the experience highly interactive and therefore very realistic. One can pay in EUR, GBP, USD, KR, CAD, AUD or YEN using Visa, MasterCard, Neteller, Skrill, Trustly, Sofort, ecoPayz, Euteller, Instadebit, Entropay, PaySafeCard, Mister Cash, Eps, Zimpler or Bank Transfer. Players can withdraw a minimum of €10 and no more than €7,000 per month, unless they’ve been granted VIP status. Same as any other Malta-licensed online casino, Barbados will require additional verification procedures for payouts exceeding €2,300. Once you make a cash-out request, it will take the operator 2 business days to process it. They won’t charge any fees regardless of which payment method you’ve chosen. Direct contact options include Live Chat, email and phone, but be aware that though the team is available 7 days a week, they only work between 8am to 1am CET. Still, the website itself offers tons of information and it’s likely it will answer the majority if not all of your questions.